Unrated and too intense for theaters with more witches, weapons and action! 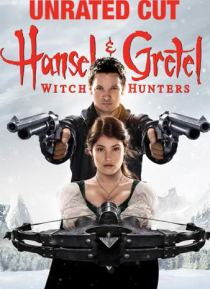 Get ready for a twisted take on the classic tale as Hansel (Jeremy Renner) and Gretel (Gemma Arterton) have turned pro, coping with the trauma of their childhood captivity by slaying witches for hire. But when the seemingly unstoppable bounty hunters meet their match in an enemy so evil, it'll take all their training, weap… ons and courage to survive. Revenge is sweeter than candy.